It is recommended that all screens above 600mm x 600mm be top hinged. We manufacture to your exact measurements. Please follow the measuring guide. Due to this product being 'made to measure' we can not accept returns or give refunds. Face fits, inside or outside, to existing frame, subframe or wall outside the reveal. 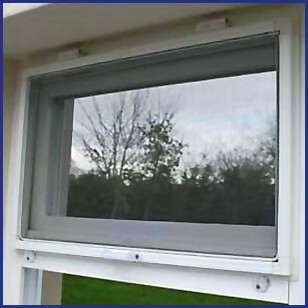 If your window opens out the flyscreen will be fitted on the inside and vice versa. Top-Hinged screen - held in place by 2 small hinges and 2 turn buttons. Powder coated aluminium frame in white. Grey insect mesh as standard. A midbar may be used to provide additional support for larger screens. Simple cost effective method of screening windows. Easy access to open and close windows. Made to Measure (supplied ready for you to fit). 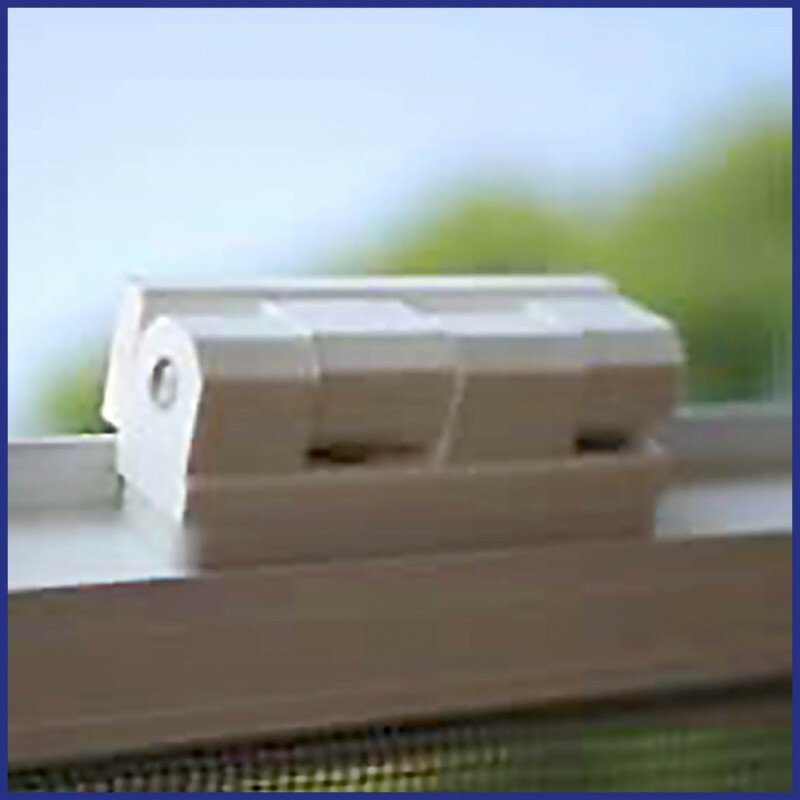 Measure width and height of the aperture, plus any bevelled edges on the window frame. Add 25mm of flat surface on each side (for the screen frame to rest against). If you are short of flat surface, you can have as little as 10mm, but the frame will overlap some of the aperture. Any locating wedge for a cockspur handle must be included in the aperture measurement, and there must be at least 25mm of flat surface beyond it. Made to Measure - we will make to the exact size you provide us. Hinged screens - ensure you have an additional 10mm of flat surface to fit hinges and 20mm to fit turn buttons - do not include these amounts in the manufacturing measurements you supply us. Do you need to build a sub frame ? If the window hande extends more than 10mm beyond the flat surface you will need to build a sub frame around the window to bring the screen away from the window handle when it is closed. Alternatively let the screen rest against the handle (hinged screen), or lift it down (lift-out screen). Our standoff profile provides 35mm of clearance and may be a suitable alternative, please ask for details.